l have the pleasure to present this monograph entitled History of Indian Medicine based on Vedic Literature : Sattatpatha-Brahmana The author of this monograph, Dr. Ms. Mridula Saha is a Research Fellow of the Asiatic Society. This as such is a product of in—house research of the Asiatic Society. Dr. Mridula Saha’s monograph has been prepared under the close supervision of Dr. Brahmananda Gupta, Research Professor of the Asiatic Society, who is a specialist in this particular field. Dr. Gupta’s brief introductory Note highlighting the use fullness of study of the Brahmana literature in general and Satapatha Brahmana in particular has enhanced the value of the publication to a major extent. Recent decades have witnessed the revival of interest in Ancient Indian Medicine all over the world. Publication of this volume at this stage is therefore likely -to generate further interest in the subject. l hope this monograph will adequately meet the demands of inquisitive scholars working or interested in the field of Ancient Indian Medicine. I appreciate the interest demonstrated by the members of the Publication Department of the Asiatic Society in quick publication of the monograph. 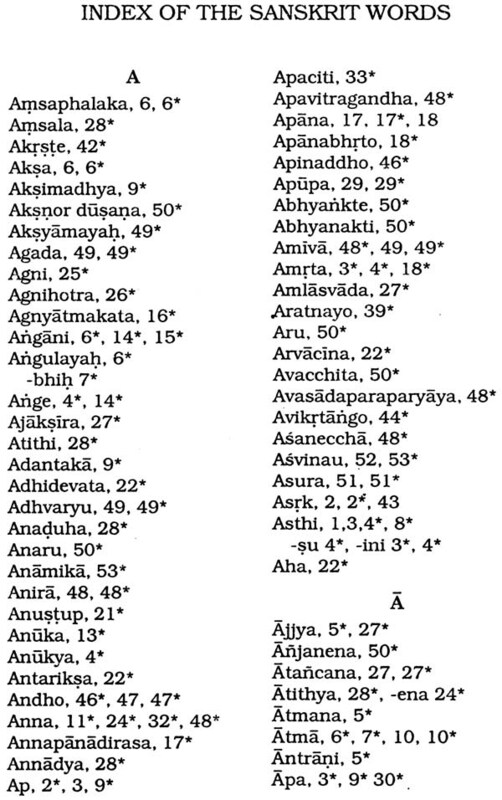 Satapatha Brahmana, belonging to Suklayajurveda, is available in two recessions viz. Karwa and Madhyandina. The present study on the Satapatha Brahmana, however, is based on the Mddhyanclina recession consisting of fourteen kandas. The last few chapters of the fourteenth kanda have been, however, known as Brhadaranyaka Sayanacarya, the illustrious commentator of the vedic texts, has commented on the SatapdtitdBrdi1mdna which is known as Madhaviyavedarthaprakasa. There is another commentator, Harisvami, on the same text. In the preparation of this work the commentary of Sayana has been consulted from time to time. Traditionally it is believed that the Satapatha Brahmana the work of some author named `Yajnavalkya throws some light on the person Yajnavalkya, who was, in all probability, a “native of eastern India. Yajnavalkya is considered by some scholar to be contemporary of Ajatasatru, the king of Magadha. Ajatasatru is claimed to be contemporary of Lord Buddha and the period is around 500 BC., as accepted by noted Indian and European scholars. As such, Satapatha Brahmana can be safely placed around 5th, 6th century B.C. 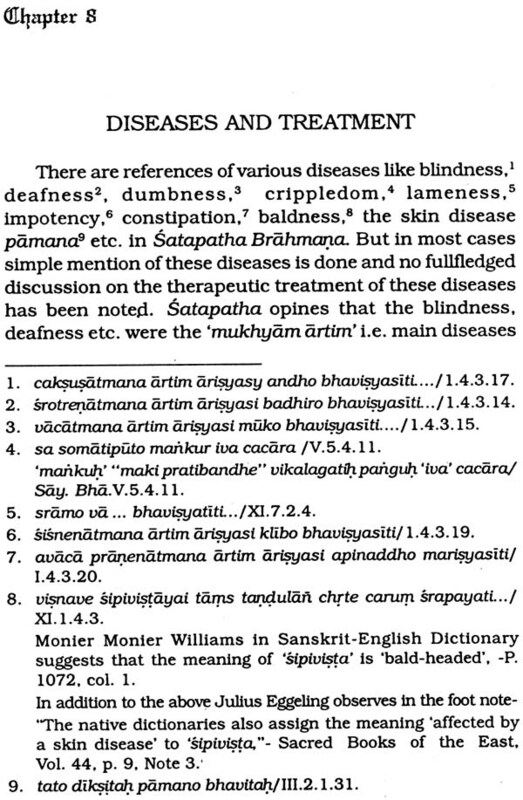 But it has been proposed by Dr. Hortnle that the author of Satapatha Brahmana might have had the prior knowledge of the texts of Caraka as well as Susruta Samhita, and this conjecture may give some indication that the Sataoatga Brahmana is probably a later compilation. But it should be taken into consideration that both the Carajka and Susruta Samhita are the later complitation of the original Ayurvedic texts like Agnivesa Samhita and many other similar texts. If that be taken as true, then the medical theories described in the Satapatha Brahman may have referred to the theories narrated in earlier Vedic or medical texts and not to Caraka and Susruta Samhita of later origin. In a similar fashion commenting on the observation of hoernle. Dr. Surendra Nath Dasgupta has opined that the word Vedavadinah mentioned in the Susruta Samhita (Sarirasthana v.18) may have referred to the view of the Atharvaveda. Therefore the date of the Satapatha Brahmana should nto be placed much later. As a conclusion the conjecture of hoernle that the Satapatha Brahmana is as old as the 6th century B.C. however may be accepted as a valid date. It is a common belief that the Atharvaveda can be regarded as the source or origin Ayurveda because the informative material can be traced in the Atharvaveda to a large extent. 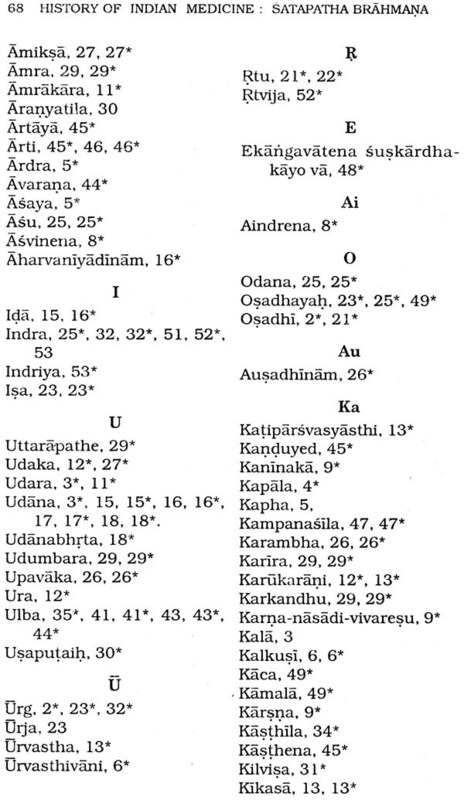 Even the Ayurvedic texts of Caraka and Susruta Samhita advocate for its inclusion under atarvaveda. But in fact the information’s regarding Indian medicine are lying scattered in the entire vedic literature. As an example of it the formative period of the history of Ayurveda. 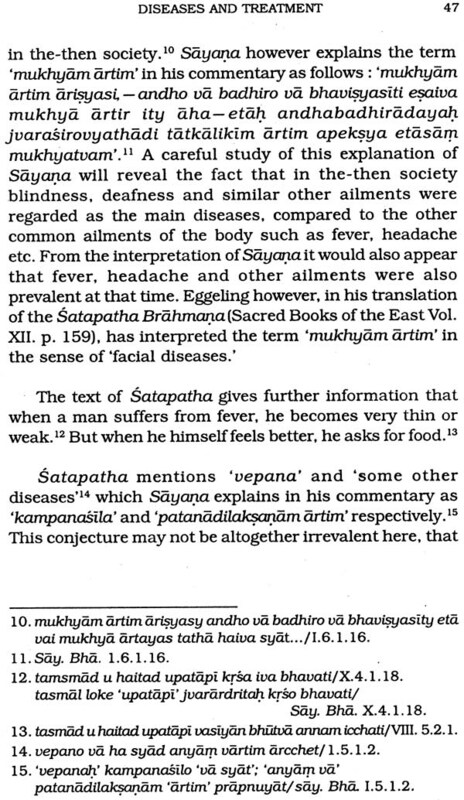 Although the Vedic texts are the store houses of information’s containing predominantly detailed descriptions of the sacrificial ceremonies but in course of narration of these sacrificial ceremonies, Satapatha supplies us a lot of information regarding the existing medical care and health prevalent in the society of that period. It is in the Satapatha Brahmana for the first time the term Slesman can be found to be used in the Ayurvedic sense of ‘kapha’, one of the fundamental tenets of the tridosa theory of Ayurveda. Although, prior to this, in the Kathaka Samhita (xxxiv. 9), the term ‘slesmun’ can also be traced, but it is used there in a different meaning altogether. As such, it may appear somewhat reasonable to think that the entire Brahmana literature serves as a preparatory ground for the outcome of the Ayurvedic texts. 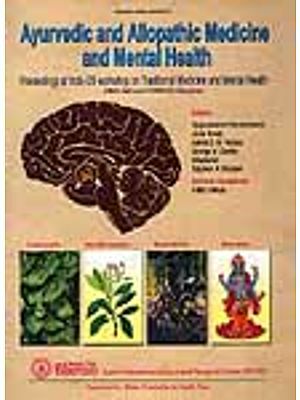 A fruitful study of the Satapatha Brahmana will reveal that near about 39 medicinal plants were widely known, which are used to combat 30 diseases approximately of that period. Many of the common diseases of the present days such as, tuberculosis, paralysis, rheumatic disorders, jaundice, mental depression, leprosy, epilepsy, some eye-disease, e.g., Cataract, fever with severe tremor (vepana),skin diseases etc. have appeared in the satapatha Brahmana. Some sort of identification however can ascertained from the commentary of Sayana and Harisvami. As far as the translation of the Ayurvedic technical terminology is concerned, it is needless to say that it is extremely difficult, if not impossible, to translate them into modern terminology keeping their senses intact. There is an insurmountable obstacle in this area. The concept of ‘Vayu’, pitta’ or ‘slesman’ in Ayurveda is never conveyed in its entirety by the modern terms like ‘wind’. ‘bile’ or ‘phlegm’, In this work, effort has been made to translate the terms as far as possible and practicable. But still, it must be said that these translations even at their best, should be taken as ‘near meanings’ instead of ‘equivalents’. In this monograph, a small attempt has been made to unearth the medical materials lying hidden in the Vedic rituals and literature. The present study of the Satapatha Brahmana can be viewed from this angle only. I hope that this work will be helpful for the persons interested in the history of Indian medicine. I thank Professor P.V. Sharma, the Doyen of Indian medicine who has appreciated this work and suggested for its publication. I thank also Professor Anil Kumar Sarkar the General Secretary of the Asiatic Society for taking initiative to publish this monograph.